Rochester is a city in upstate New York state situated on the Genesee River (251 miles (404 km) Northwest of New York City) right near the northern border of Lake Ontario, with a metro population of just over 1 million. In the 1960’s, home to such Garage Rock legends as the Invictas, The Heard, Quirks, Groop Ltd., Young Tyrants, Dareylks, Kack Klik, Churchmice, Playboys, Show Stoppers, and, 30 miles (48 km) to the west, The Humans, from Albion, NY. For a city it’s size, it has managed to produce plenty of great Garage Rock and the scene continues to this day. The epicenter of the Garage Rock explosion and a fantastic multitude of other great new sounds from 1979-85: Scorgie's, on Andrews Street in Rochester. In 1977, the first inklings of Garage rock since the 1960’s began to stir this conservative city, with Greg Prevost’s Distorted Levels releasing the wild single "Hey Mister" b/w "Red Swirls". Of course we all know that soon after, Greg started up the Chesterfield Kings with Andy Babiuk, Rick Cona and the late Doug Meech. Ori Guran would join up with them in 1980 on keyboard and guitar, and the rest is history. In 1978, in the Rochester suburb of Greece (where Greg Prevost also lived at the time), another band with firm roots in the sixties was born. They were called The Outsiders, and were formed at Greece Athena high school. Walt O’Brien, Jim Lampert, Bob Janneck and Dave DiSpirito took their love of sixties British beat music into an album rock world, and caught plenty of grief from the REO Speedwagon, Lynryd Skynyrd, Ted Nugent, Led Zepplin, etc. fans of the day (although they did do a great version of "Communication Breakdown"). The Outsiders persevered, however, and began to play enthusiastic versions of Beatles, Stones, Kinks, Who & Yardbirds covers and began to build a following. In the late 70’s-early ‘80’s, there was really only one club in Rochester that showcased new or different music: the legendary Scorgie’s on Andrews street. The Outsiders played there a few times, to a warm response, but most gigs were spent playing west-side working class bars, rocking like crazy and getting the regular patrons to dance and have a ball. They eventually got very good at that, and within a few years were drawing hundreds at the Warehouse (now the Water Street Music Hall). The also changed their name to The Insiders, on the count of finding out about the "Time Won’t Let Me" crew (The Dutch Outsiders were almost unheard of in the States at that time). In late 1980, they submitted a demo to local FM rock station WCMF for their second "Homegrown" compilation album of local talent. A frantic recording of a Jim Lampert composition "Leave Me Alone" made the cut and was featured on the LP. It features powerful vocals from Walt, and a ‘Satisfaction’ style riff throughout the verse (this should have been a dual guitar riff, but one guitar was left out during the mixdown) and of course, a wild lead break. The LP came out in early 1981, and got a couple of spins on WCMF. They also played live at the Record Archive store on Mt. Hope Avenue, which was broadcast live on WRUR-FM. Other than the late Unkle Roger’s show on WCMF, WRUR (located at the University of Rochester) was one of the few places locally to broadcast new or alternative music. In 1982 Steve Lowden replaced Dave DiSpirito on drums. While Dave was a good vocalist, Steve was now able to add harmony vocals to the Insiders sound. In 1982 the Insiders went back into the studio to cut a single. They chose Dynamic Recording, run by Dave Kasperson, formerly of the legendary Tempests of "Rockin’ Rochester" fame. 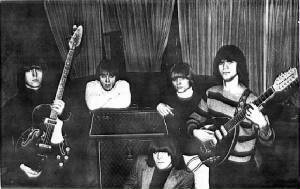 The single consisted of two group compositions: Guitarist Walt O’Brien’s "Can’t", and bassist Jim Lampert’s "You’re My Baby". "Can’t" is a bouncy, early-Beatle sounding harmonica driven number. It was later covered by Rochester’s It’s My Party girl group in the mid-1990’s. "You’re My Baby" is a groove driven rocker reminiscent of the many Beat versions of "What I’d Say". The group purposely made the final product sound "tinny", just like an old record. In 1983 they appeared on local late night TV’s ‘Brian Bram’ show (no one seems to have recorded the appearance). Later that year, Brian Goodman left Cousin’ Al & the Relatives to replace Steve on drums. The band appeared on Channel 13’s ‘Morning Break’ 60’s nostalgia show, playing Beatles, Stones etc. live from Marketplace Mall in Henrietta. In 1984 the band called it quits with a farewell show at the California Brew Haus in Rochester, although they did re-unite from time to time in the late 1980’s-early 1990’s to perform and make some as of yet unreleased recordings. In the wake of the trail blazed by the Chesterfield Kings, Insiders, and various local punk & new wave groups, the 1960’s influenced scene in Rochester began to grow. Also from hailing from Greece, my band, the Reactions played a mix of Yardbirds, Remains, Garage and Beat group music starting in 1983. The group would disband in 1984, with singer Mike Murray joining ex-Insiders Bob Janneck & Jim Lampert to form the Hidden Charms, who would record a 4-song demo at Dave Anderson’s Saxon Recording. Wild versions of ‘Rosalyn’, ‘Shakin’ All Over’, ‘Boom Boom’ and Jim Lampert’s ‘I Can’t Understand’ remain unreleased. Drummer Judd Williams would eventually move to Boston and become one of the many drummers for the Lyres. (It should be noted that Mono Man lived in Rochester for a short time as a child in the late 60’s). That same year, another Greece group, the Projectiles burst on the scene with a wild punk rock sound led by lead guitarist & singer Dan Frank. The original line-up featured Jerry Flanigan on guitar, Mike Gangale on drums, Tony Pilato on organ, Kevin Keefer on bass. In 1984 Mike was replaced by ex-Cousin Al & the Relatives/Insiders drummer Brian Goodman. 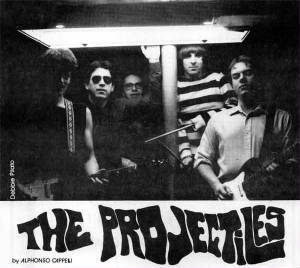 The Projectiles main inspiration came from the Pebbles, Boulders, and other ‘60’s garage compilations making the rounds at the time. In 1985 they appeared on "The Expoloding Underground" compilation with a trippy tune called "All Under Heaven". In 1986 they released a single in on Rochester’s Jargon Records label; an original, "Some Things Never Change" b/w a wild cover of ? & the Mysterians "I Need Somebody". It has a ‘punkier’ feel to it and is much more representative of the Projectiles sound than the compilation cut. In 1987 they released their 2nd single on Jargon, a 3-song EP with a cover of the Fi-Fi Four + 2’s I Wanna Come Back(From The World Of LSD)" b/w fuzzed out cover’s of the Tree’s ‘No Good Woman’ and the Ugly Duckling’s ‘Nothin’. They also appeared on Jargon Records 1987 compilation LP "Bone In Rochester" with the up-temp original track "I’m Alone". Like almost every American town in the sixties, and many in the eighties, Rochester had it’s own group called the Mods. The group was fronted by the husband & wife team of Tony & Eileen Wechsler on guitar and bass, respectively, and were joined by John Borelli, Paul Pakusch and Tom Fears. The Mods played mainly the sounds of the British Invasion, although they did work in songs like the Jefferson Airplane’s ‘Somebody To Love" and "White Rabbit", plus versions of "The Locomotion" "Runaway" and others. They never did release a single, but did record a demo tape around 1983 with a great tune called "Make It Right" an up-tempo Mersey-beat style number sung by Tony. Hailing from the southeast suburbs, Cousin Al & the Relatives first appeared on to the scene in 1982. Complete with surf board and beach ball, Cousin Al Voldman brought back the music of Jan & Dean, The Hondells, Fantastic Baggy’s and of course the Beach Boys to the live music scene. The band featured real-life cousin Brian Goodman on drums, Chas Lockwood on guitar, and Pete Badore on bass. This line-up made a classic appearance on the Brian Bram show performing "Surfin’ on the Barge Canal" and "Surf Down At Charlotte" (odes to the local canal and our beach at lake Ontario pronounced "SHAR-lot"). When Cousin Brian joined the Insiders, the band dissolved. Al soon put together a new group, the New Generation, who cut the single "Surfin’ On The Barge Canal" b/w "Zombie Twist" on Tom Kohn’s Half-Life label, which was released in 1985. The Fade-A-Ways hailed from the Rochester suburb of west Irondequoit around 1983 and played a wild mix of rockabilly, garage, and straight ahead rock ‘n’ roll before moving to more original material heavily inspired by Bob Dylan and other singer-songwriters. They recorded a cut called "Trust" that appeared on Jargon’s ‘Bone In Rochester’ compilation released in 1987. Luther Holtzman started up the idea for the BBB’s (stands for ‘Bothered By Boredom") in the early 1980’s. Early British invasion sounds were and are Luther’s forte, and he cranked them out with as much enthusiasm as anybody. Luther was without a doubt, Rochester’s wild man of rock ‘n’ roll. He began recording in 1983, backed up by many of the Beat musicians from other local bands (including the Insiders). Luther’s first single was a jangly number "You’re Making Me Cry’ b/w ‘Turn My Head’ recorded in 1983, but not relased until Jargon issued it in August of 1986. Next up was the seasonal number "Are You Ready For Christmas" b/w "What’d You Get", released once again by Jargon in November 1987. It received heavy airplay on WITR radios ‘Whole Lotta Shakin’ Show’ at the time, and still makes the playlist each year around Christmas time. Luther continued to issue singles and cassettes into the 1990’s, and put out a greatest hits CD in 1997 and a second volume in 2011. Like the Insiders, Mods, and Luther, The Swing Set were heavily influenced by the British Invasion. 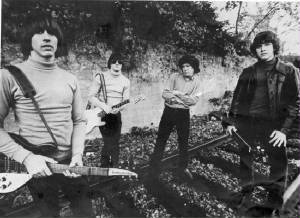 The group initially consisted of Doug Cox on vocals and guitar, Dave Anderson on Bass and Judd Williams on drums. With Judd moving to Boston and Dave Anderson working on his Saxon Recording studio, Doug brought in the rhythm section from the recently disbanded power pop group the Tension: Ted Perkins on bass, and Dave Martin on drums. In 1984 the recruited Walt O’Brien on vocal an guitar, and in 1985 cut the jangle beat single "You That I Want" b/w "Trying To Get You Out Of My Mind ". The group stayed together for a few more years and gathered a loyal following in the Rochester area. By the late 1980’s most of these bands either broke up, some artists joined other groups, or mutated into new Garage inspired aggregations such as the Fertility Rite Bros, Quatloos, McFadden’s Parachute, Riviera Playboys, Dino-Peptics, Bullfrogs, Guilt Flowers, Group Image, Johnny Frankenstein, Del Rivers and others; but that’s a a story for another tyme…….